Tuesday morning, and it looks like I’ll finally get a rest from some of the marathon RANTS I’ve posted over the past week. Yesterday, I expended a lot of energy railing at the corrupt and stupid, and thus will be more subdued today, at least until the FOMC decision at 2:15 PM EST. Currently, “the consensus” expects it to be a non-event, but plenty of QE3 hopefuls are waiting in the wings. Those wondering how I write so much should imagine an hour in my head, processing ALL data I see, constantly trying to build useful mosaics. I scan the internet all day long for new clues, and appreciate the fantastic information sent by readers, an invaluable tool in the analytical process. Like a gambler counting cards, I seek to be as prepared as possible for war with the FPTB (Financial Powers That Be), whom want nothing more than to steal my money and pride, as well as that of my readers. The gist is the world’s Central Banks, as always led by the Federal Reserve, have created new ways to inject cancerous “credit” into the system, fueling mal-investment and inflation, and enriching a handful of “elites” at the expense of society as a whole, including countless unborn generations. I have read this article twice, and still haven’t the faintest idea how such “parallel universes” of shadow banking and “dark pools” have emerged, how they work, how much damage they have already caused, and how much they eventually will, before ultimately collapsing into the financial ether from whence they came. Whether via secret liquidity injections into the “shadow banking system” or exponential increases in “U.S. dollar swaps” to anyone stepping up to the begging bowl, the amount of rampant, unrestricted MONEY PRINTING is startling, the ultimate PONZI SCHEME, requiring increasingly larger “liquidity jolts” (and PAPER PM suppressions) to keep the patient breathing. The leaders of the FPTB care only for profits, although to them it is as much a game as a revenue-generating enterprise. They are sociopaths that enjoy your suffering as much as their own victory, perhaps more so, and can FEEL the frustration of those fighting seemingly unwinnable wars against them. They mock free market denizens when they bemoan their investments being trashed while the PPT protects Dow 12,000 with predictable, daily operations such as yesterday’s “HAIL MARY,” and at times believe themselves invincible. They care not that their machinations make the situation worse, for Wall Street, Main Street, and the personal lives of millions, if not billions of people, continuing to PRINT, BORROW, and SPEND the system into oblivion, claiming that “cutting” the Pentagon’s 2012 budget to “just a 1% increase” from last year’s record level will improve the deficit. They destroy their own hosts, the hapless banks run by middling bureaucrats with as much business sense as the academics and attorneys running the government, believing any damage created can be “fixed” by more MONEY PRINTING. Like a hopeless drug addict, they focus only on the very short term, rejoicing over “victories” that an over-stimulated two-year old would find droll, HYPING anything they can get the captive, puppet media behind. …and are wrong in their short-term decisions as often as they are right, if not more so. What’s this, after all the HYPE about “Record Black Friday sales,” November retail sales DRAMATICALLY missed expectations? Could it be that RANTING ANDY was right, that all the HYPE about Black Friday has caused consumers to shift HUGE percentages of their shopping into that one, deep-discounted weekend? Just wait until retailers reveal the horrible margins generated in Q4, where typically ALL the year’s profits are generated. Not to mention the HYPE about the Greek “haircut deal” in late October, which was GUARANTEED to save Europe, and by extension the global financial system. Looks like it was DOA, confirmed today – not that you’ll hear about it on the financial news. They think housing prices are elastic to changes in interest rates, but nothing could be further from the truth. Home sales continue to stagnate at record low levels, and now the weakest demand season of the year – the WINTER – is here. Additionally, note how large the housing bubble became at its peak circa 2007, and subsequently how little of the cumulative gains since 1980 have been lost. That chart has at least another 50% to fall before it completes its cyclical mean reversion – end of story. Conversely, they erroneously view Precious Metal prices as being as inelastic to the downside as they are to the upside. In other words, since gold demand rises with increased prices, they believe it should similarly fall with declining prices. Once again, their Achilles Heel is exposed, acute shortages that occur when PHYSICAL gold and silver prices sharply rise OR fall. Shortage of physical metal will be the Cartel’s downfall, and since gold and silver are the linchpins of the entire, global financial system, such shortages will ultimately end the tyrannical reign of the FPTB. Not to be confused with TPTB, which include POLITICIANS and the MILITARY, which will engage in violent, forceful actions to maintain power, as opposed to the FPTB, which are limited by the laws of Economic Mother Nature. Using silver as an example, the three most intense periods of PHYSICAL demand of the ENTIRE ELEVEN-YEAR BULL MARKET were late 2008, when the Cartel attacked PAPER gold and silver to prevent them from being viewed as safe havens, September 2011 after the commencement of “OPERATION PM ANNIHILATION,” and April 2011, when silver reached $50/oz (far more in the PHYSICAL market), just before the SUNDAY NIGHT PAPER SILVER MASSACRE. In other words, when the PAPER price is driven too low OR bid to record levels, attesting to the fact that silver is just as ELASTIC on the downside as it is INELASTIC on the upside. 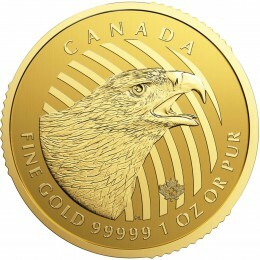 In time, both gold and silver will again achieve ALL TIME HIGHS, and eventually – perhaps in 2012 – they will be PERMANENTLY BROKEN by an inevitable surge of PHYSICAL demand as large as the wave that broke the London Gold Pool in 1968, causing gold to rise more than twenty-fold in the ensuing decade. Of course, this time around, there is no possibility of a hawkish Federal Reserve saving the day by raising interest rates to 20%. TPTB-propped Dow is unstoppable at this point, as I’m sure, at this point of maximum manipulation, that the PPT would goose it if Iran commenced a nuclear attack on Israel. That said, please remember the Dow has ZERO correlation to the real world, and thus should be completely ignored as an indicator of ANYTHING related to politics or the global economy. Conversely, gold has MORE correlation to the real world than any other market, even in its extremely suppressed state. The fact that it is STILL the best performing asset class of 2011, and the past eleven years for that matter, depicts rapidly declining confidence in the financial system, which is EXACTLY why it needs to be swatted down even when Iran closes the Straits of Hormuz! And by the way, isn’t it amazing how even Breaking News is timed perfectly with Cartel attack patterns, such as today’s daily WATERFALL DECLINE (and the FOMC decision hasn’t even come out yet) at EXACTLY 10:00 AM EST! Given how tired I am this morning, and that I have a webinar and podcast to tape later this morning, I’m going to keep today’s RANT short and sweet. The title, “FM,” does not refer to an algorithm, acronym, or abbreviation – just a song, plain old “FM” by Steely Dan. I’m sure few know that “FM”, the title track of a 1978 movie of the same name, was the basis for one of my favorite childhood shows, WKRP in Cincinnati. Nothing particularly deep about this RANT, and given the heavy nature of recent writings, my mind is lightened by writing of something so agreeable, while of course listening to it this very moment. It just occurred to me, as I ran on the stair climber yesterday morning and watched gold and silver prices plummet yet again, that very little selling of actual, PHYSICAL metal was occurring in the real world, if at all. 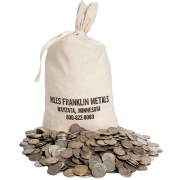 Hence, the phrase “no selling at all” rang in my head, just as the song prates “no static at all.” Every day I look at the Miles Franklin daily sales sheet, and never do I see buybacks from the public. 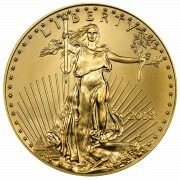 My guess is that for every $1,000 of bullion sales we generate, we purchase no more than $1 of bullion from the public. And I’d bet that ratio is consistent industry-wide. Earlier, I mentioned how buying of PHYSICAL gold and silver accelerates on price declines, and yesterday I wrote that it is nearly impossible to sell PHYSICAL metal in size into a rapidly declining market, because size sales must be negotiated. This nuance is particularly relevant in the tiny silver market, of which the ENTIRE GLOBAL INVENTORY IS ESTIMATED TO BE JUST 700 MILLION OUNCES, or roughly $25 billion at today’s prices. 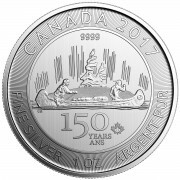 Given all I am writing about silver, it should be clear by now that I view it as the “nerve center” of the Cartel’s Achilles Heel, a tiny market destined to shock the world due to its unique quality of being one of just two monetary metals, as well as the world’s second most utilized industrial commodity (by number of uses). PAPER RAIDS like we saw in May, and again this Fall, have NOTHING to do with real, PHYSICAL demand, which grows more rapidly each time the PAPER Cartel attacks. PHYSICAL SHORTAGE will be the END GAME of the Precious Metals bull market, but unlike all other bulls markets from time immemorial, PRICES will not peak with supply. This statement sounds enigmatic, but makes much sense when put into perspective. Gold and silver are not ASSETS, they are MONEY, and by definition money must be SCARCE, and even LIMITED. Supply will run out because confidence in FIAT CURRENCIES has been lost, making the little PHYSICAL gold and silver available essentially priceless. I have been preaching for years that people should PROTECT THEMSELVES, and no better protection can be afforded than buying NOW, when confidence in FIAT CURRENCIES is waning, but still exists.